Inspired by 1960s design, with quality materials and contemporary lines. Privé is a range of storage furniture – two low and one high – which has attention to detail as its stylistic feature. 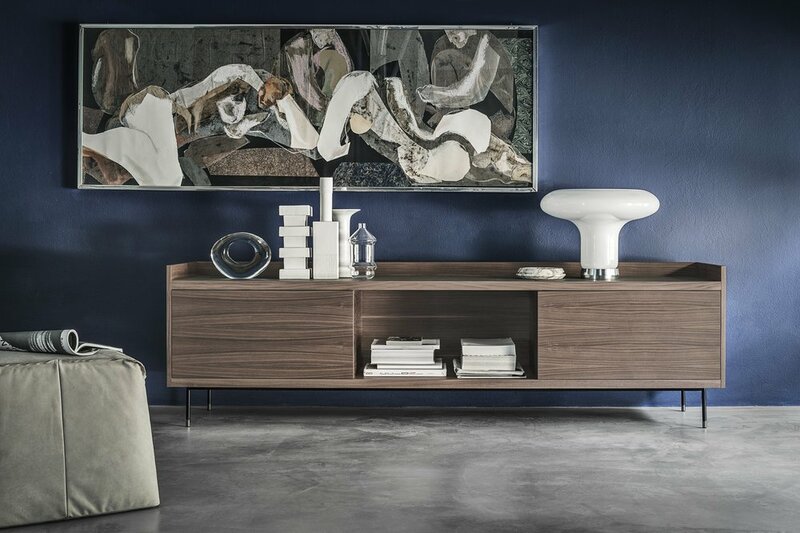 The walnut used for the box, the glass for the shelves, the metal legs with aluminium ferrules and the leather on the top and the accessories are crafted with care and expertise, creating subtle lines, flawless stitching and 45° borders.